Contains 10 Day Sanitary Napkins. Made from 100% Pure Certified Organic Cotton Absorbent Core. No Chlorine or Dioxin used in the Bleaching. Explore the entire range of Sanitary Napkins available on Nykaa. 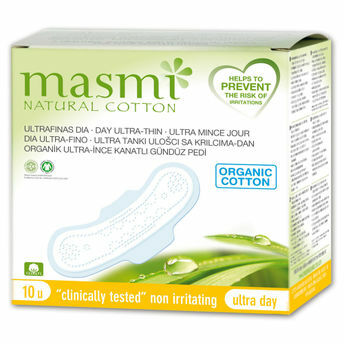 Shop more Masmi products here.You can browse through the complete world of Masmi Sanitary Napkins .